United Equity’s Main Location is the corporate office for all of our locations. 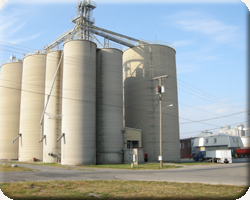 This location provides the Delphos area with a conveniently located grain facility equipped to handle wheat, corn and soybeans. We also offer a wide selection of bagged feed products including ADM, Showtec, Pen Pals, Hubbard, Showrite and Purina. In store products at this location will satisfy all your lawn and garden needs, as well as, products for your pond and control of pests and rodents. Come see us for all of your grain marketing needs. We have an array of contracting options that can fit your specific farm needs. Our friendly staff will be happy to assist you.